for the emergence of a synergetic design toolbox. 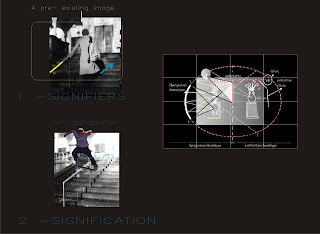 With an image showing a skater using a handrail as a “skate-rail” I indicate both the impetuous force for my observation and the thematic frame of this paper. This essay comes up as a result of continuous observation, intuitive interest in gyms, parks and public spaces with intensive physical motion, that led to a creation of a personal collection of images of the sport-city. Intrigued by innovating use of construction sites, temporary occupation of parks, a sport spectacle while shopping and struck by the limits of paradoxical interpretation of possible spaces into sport places, the interest is transformed into research that aims to the extraction of a design toolbox based on a synergy of phenomenological view and structuralistic breakdown analysis of public space. Among cityscapes are places attributed with the same parasitical activity over the city. What are their special characteristics? Streetstyle Skaters’ slogan “symbiosis is an intrigue” emphasizes their search for elements for re-appropriation. Emergent type, according to M. Hays understands type not only as transcription from a catalogue but also as built configuration determined by habits of social use. It constructs a “third typology” which estranges the representation of what is represented and with the help of the architect through a “mise-en-architecture” operation, builds up a functional context for signification. Synergy of phenomenological and structuralistic analysis is attempted in Vondelpark of Amsterdam and the skateroute maps of Amsterdam. 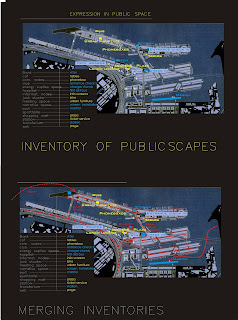 In this context and while using the concluded instrumentality, I will analyse two projects, S-Port Terminal in Amsterdam and an urban analysis for Zeeburg in the Netherlands. 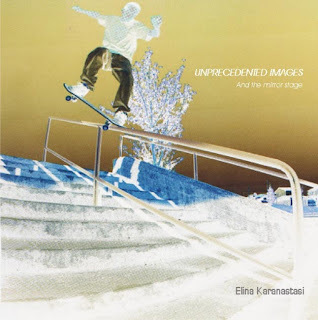 The research "Unprecented images and the mirror stage" (1999) tries to examine how sports and physical motion are facilitated in public space and interact. It borrows an experiment from the optical science,used by J. Lacan in his 'mirror stage' theory, to examine the relationship between cityscapes and social use in an organization of infrastructure for re-appropriation.